Investors fled the sector this year on trade-war fears and new emission rules. At around six times earnings, Europe’s automakers were starting to look cheap. The German group’s profit warning, however, is a reminder of carmakers’ limitless capacity to generate bad news. 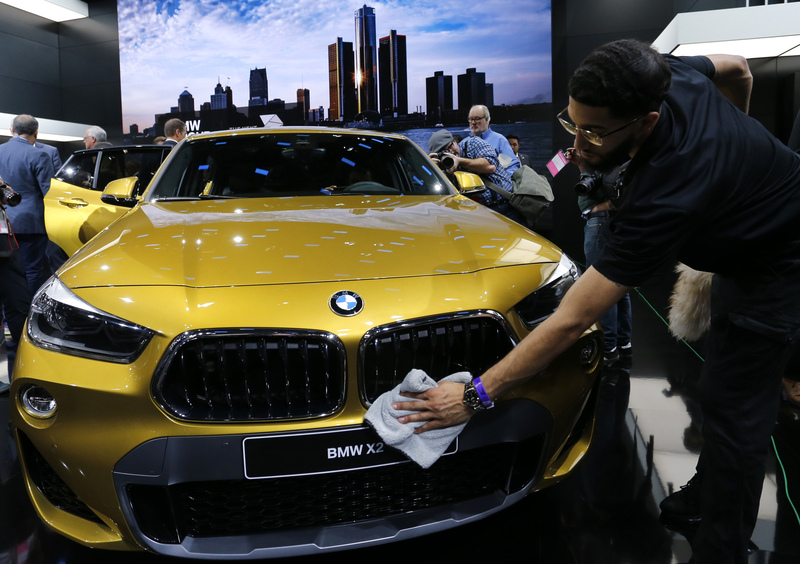 A 2018 BMW X2 Sport Activity Coupe is wiped down while on display at the North American International Auto Show in Detroit, Michigan, U.S., January 15, 2018. German carmaker BMW on Sept. 25 said pre-tax profit would be moderately lower this year compared with 2017. Investors had previously been told it would be “on a par”. Revenue in the automotive business will be “slightly lower” than last year, compared with previously guidance of a slight increase. The Munich-based company’s automotive operating margin will be at least 7 percent, instead of between 8 percent and 10 percent. BMW blamed the profit warning on intense price competition in the wake of new emissions rules. It also cited distorted demand and pricing pressure from international trade conflicts, and provisions for extra vehicle recalls. BMW shares were down 5.1 percent at 1315 GMT on Sept. 25, while Peugeot owner PSA Group, Daimler, Volkswagen, and Renault were down 3.8 percent, 3 percent, 2.3 percent and 1.6 percent respectively.